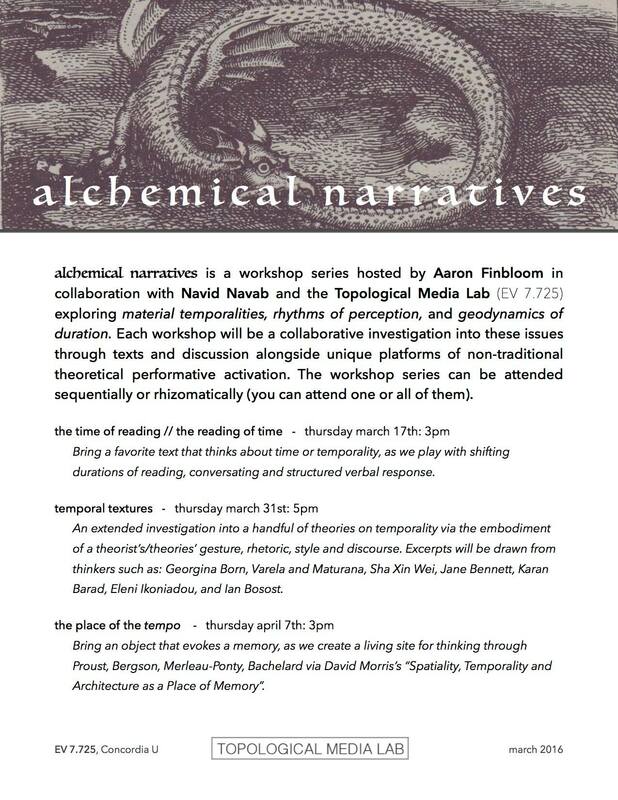 alchemical narratives is a workshop series hosted by Aaron Finbloom in collaboration with Navid Navab and the TML exploring material temporalities, rhythms of perception, and geodynamics of duration. Each workshop will be a collaborative investigation into these issues through texts and discussion alongside unique platforms of non-traditional theoretical performative activation. The workshop series can be attended sequentially or rhizomatically (you can attend one or all of them).